Whether it's recreating vintage pieces that need some love or completing a concept to creation project, we have done it all. We have four very experienced bench jewelers that can handle any project. Charles Skibell will personally guide you through the experience. Each step is carefully monitored from picking the exact same size diamonds to making sure the angles of a particular heirloom sapphire are perfect. We don't stop until you say Wow!!! This beautiful custom necklace was a re-design of several old rings from the customer. This custom ring features a natural yellowish brown 3 carat diamond contrasted with white diamonds. 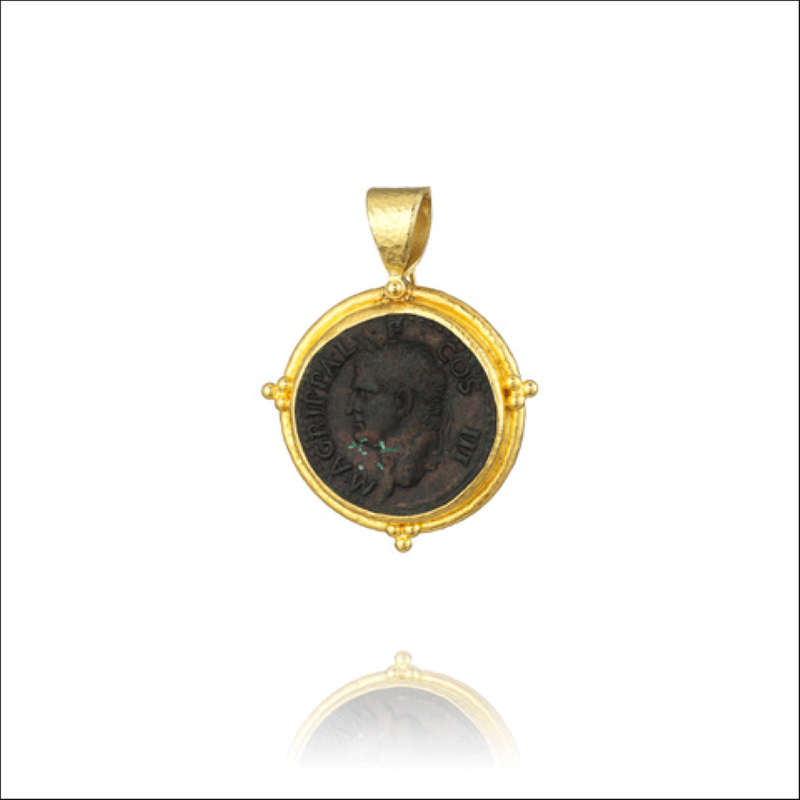 This piece highlights the beauty and elegance of Antiquity Coins against bright 18k yellow gold framed in a beautiful pendant. These unique custom earrings are a perfect combination of turquoise and sapphire gems. We replaced the original Opal stone to create this flawless custom Diamond ring with a Tanzanite stone. Unique design which was modified to fit the size of the diamond. 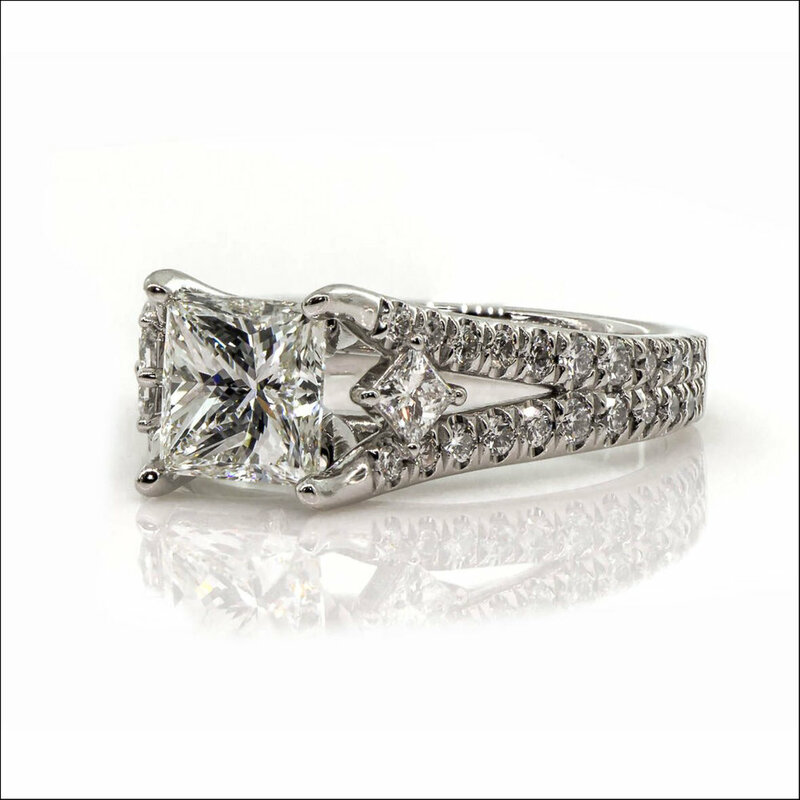 Platinum princess cut diamond. Fit for a queen.